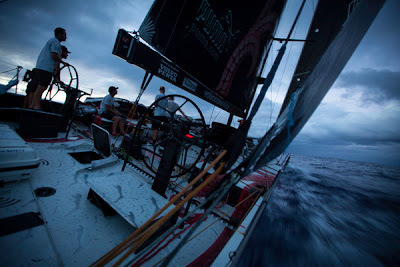 After what amounted to a tortuous night traversing the belt of light and fluky wind, PUMA Ocean Racing powered by BERG led the way out into fresh breeze at 0400 GMT to become the new leader on Leg 6 of the Volvo Ocean Race from Itajaí to Miami. At 0700 GMT, the team had a margin of 13.6 nautical miles (nm) over CAMPER with Emirates Team New Zealand (Chris Nicholson/AUS) after coming to a virtual standstill overnight for an agonising three hours. Ken Read and his men gybed on to starboard at around 0430 GMT looking good to cross ahead of both CAMPER with Emirates Team New Zealand and Abu Dhabi Ocean Racing (Ian Walker/GBR) who had both managed to cling onto their podium positions. But, soon after, PUMA gybed on to port back to head back offshore, as all but Groupama (Franck Cammas/FRA) took a hitch to starboard. CAMPER and Abu Dhabi Ocean Racing continue to claw their way east to set up for a good angle to clear the eastern tip of Brazil at Recife, 547 nm ahead, while Telefónica (Iker Martínez/ESP) and Groupama (Franck Cammas/FRA) remain glued together 50 nm to weather. For the crew of PUMA, it was a stressful time, as they wallowed becalmed, wondering whether the rest of the fleet had suffered the same fate. 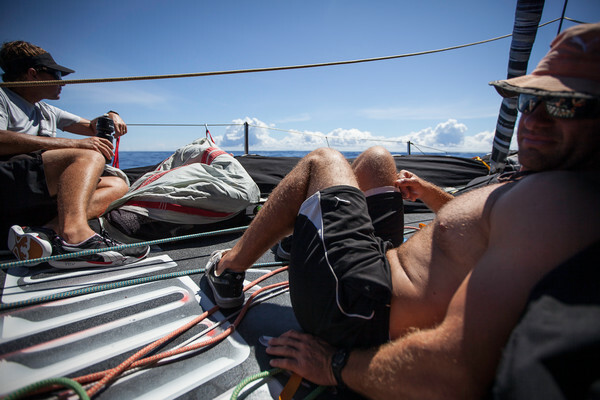 “So many times in this race we’ve found ourselves in this situation, becalmed and vulnerable, forced to watch while the others just sail around the outside,” said PUMA Media Crew Member (MCM) Amory Ross. The feeling of total helplessness was one that none of the crew ever wishes to relive as the boat drifted backwards at times. But as the rest of the fleet hit the wall and slowed, cat’s paws of breeze appeared for PUMA and, two hours and two sail changes later, the hopes of the crew rose along with the wind strength. 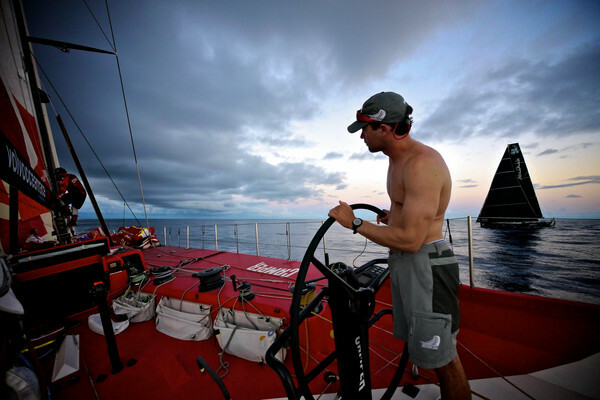 “A giant sigh of relief and we were free, taking our Mar Mostro north with smiles on our faces,” Ross wrote. 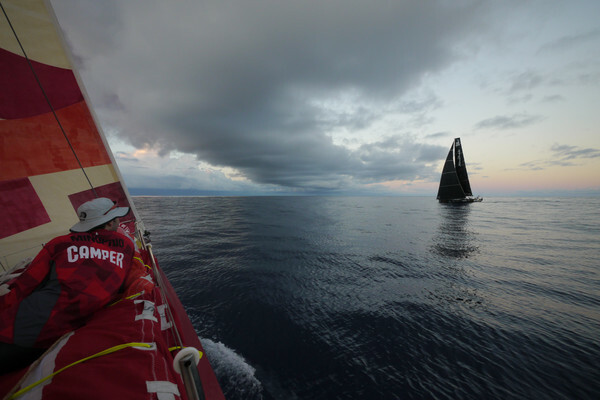 Meanwhile, CAMPER had, for the first time, lost sight of Abu Dhabi Ocean Racing, only to see the black hull of Azzam creeping back over the horizon to close to within 100 metres to continue the close racing that both teams are relishing. As the fleet makes its way north towards the eastern tip of Brazil, the separation of 55 nm from PUMA in first place, to Groupama in fifth is becoming significant.